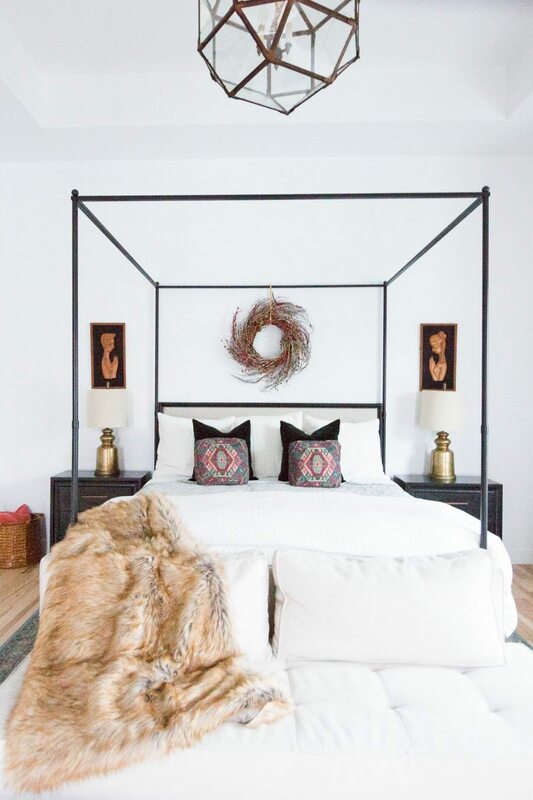 Listen, we get the total exhaustion that sets in during the Holiday Season which is why we are sharing 5 Easy Christmas Ideas for Your Master Bedroom. 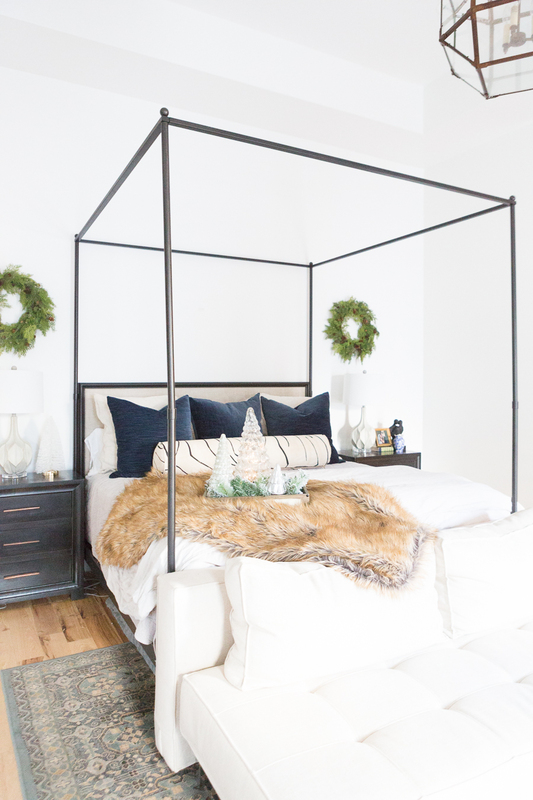 I am usually so exhuasted with decorating and cooking and Christmas shopping that I don’t spend but 5 minutes adding Christmas touches to our bedroom, which is why I thought it might be fun to share some super easy Christmas Ideas for Your Bedroom. 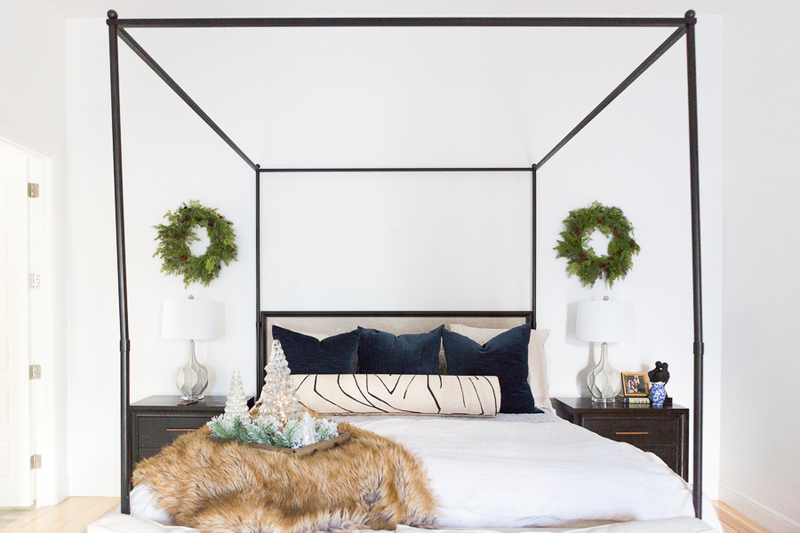 Even if you haven’t done any decorating in the bedroom, it might be easy to do one of these ideas and incorporate just a little bit of Christmas into the bedroom before Santa comes to visit. 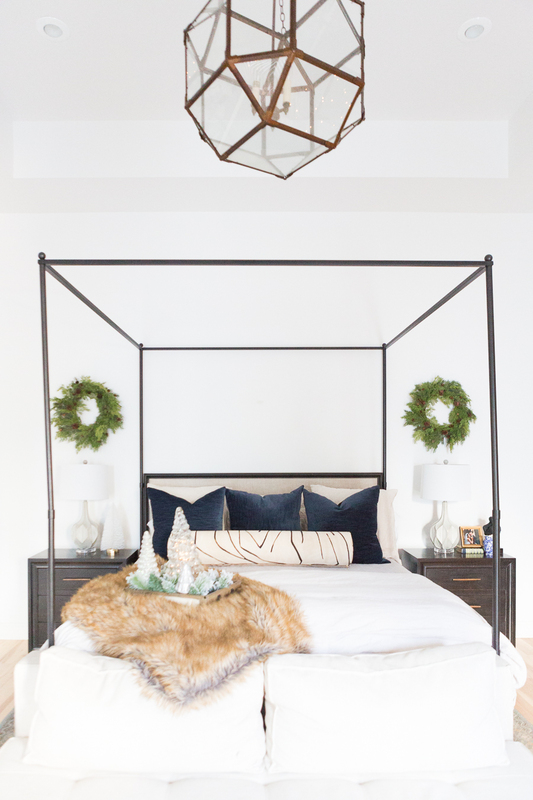 If you’d like to see our full Modern Elcetic Christmas home tour you can do that here. 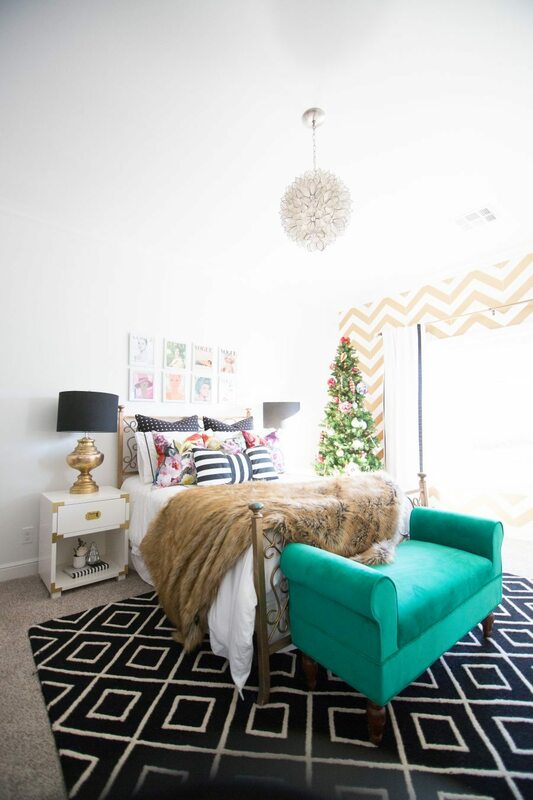 Hope you enjoy this post and find some Easy Christmas Ideas for your Bedroom! 2. 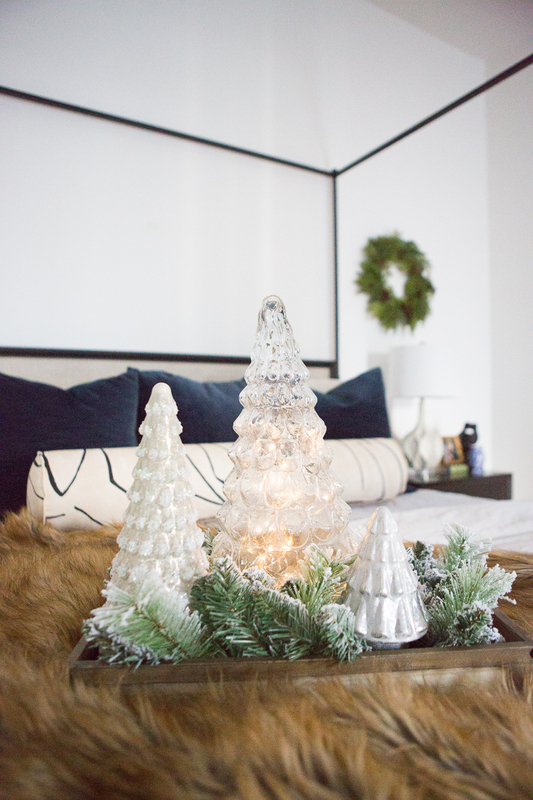 Use a Tray to Create a Bedside Centerpiece – I grabbed this tray that wasn’t even being used, threw some extra garland that also wasn’t being used in it, and threw some glass Christmas trees on the tray amongst the garland. 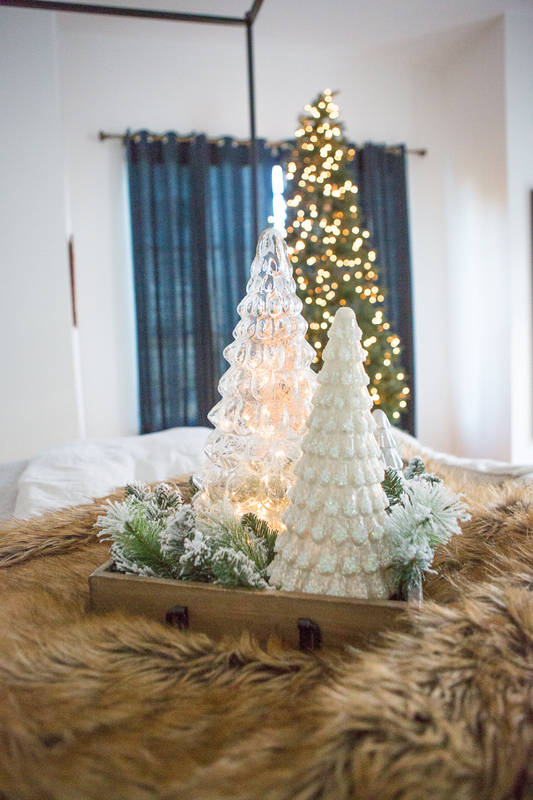 The result is a beautiful bedside Christmas centerpiece that took me less than two minutes. 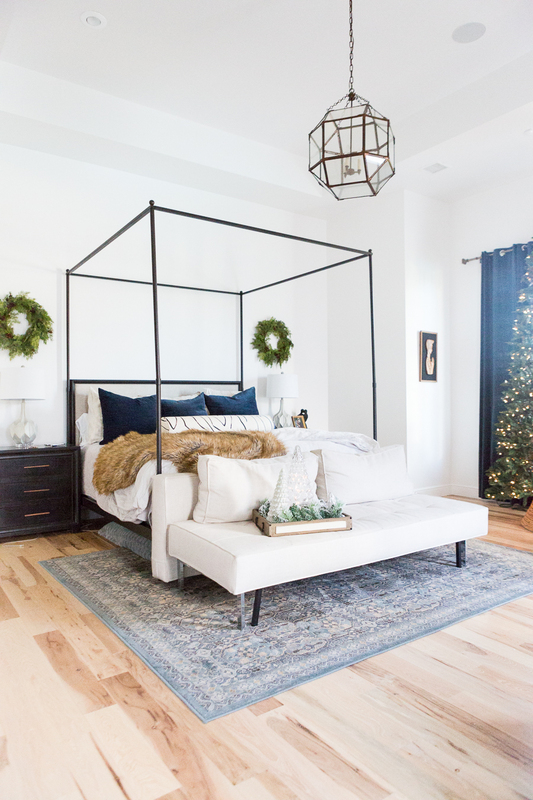 Here are some of my favorite wood trays, glass and mercury Christmas trees as well as bottlebrush trees from Pottery Barn, CB2, Target, West Elm, and more. 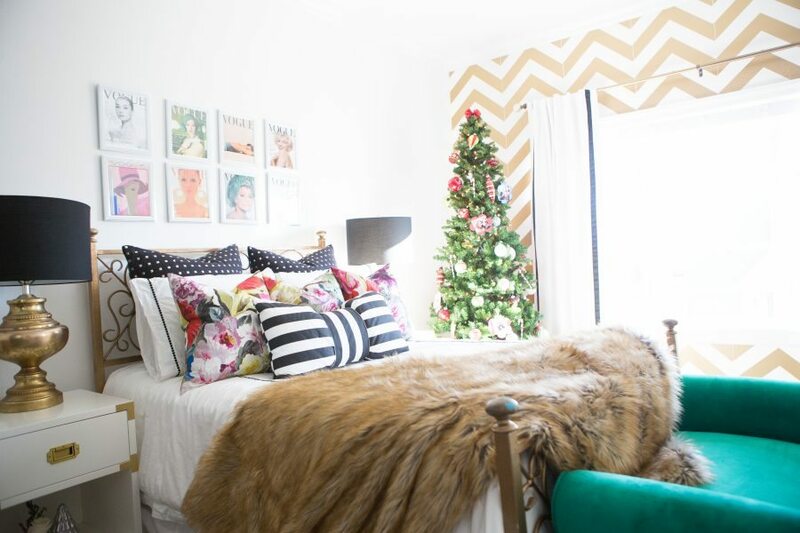 Add Christmas Art to Gallery Walls – Here is another quick and Easy Idea for adding Christmas to your Bedroom. 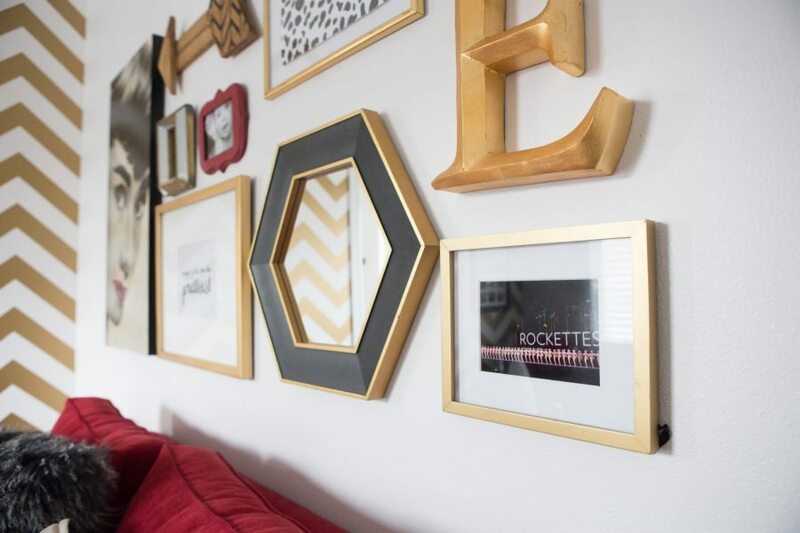 I printed off a meaningful picture of when we went to the Rockettes in New York City and slid it in a frame for Emmy’s gallery wall. 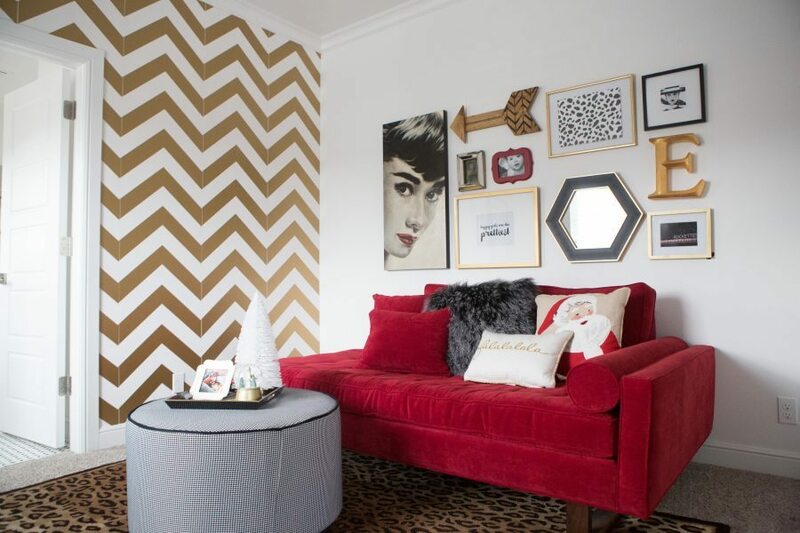 Just like that, her gallery wall had a little touch of Christmas. 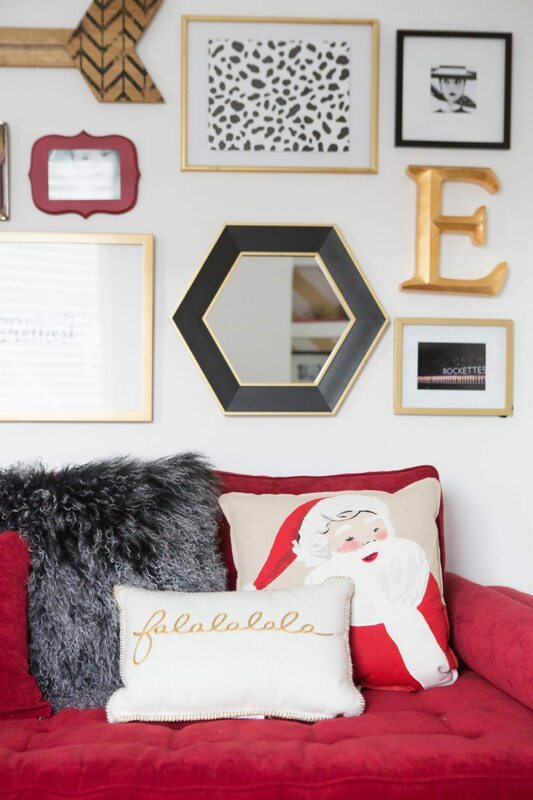 I also love printing off pictures, framing Christmas cards, and even framing kid’s art as a quick, easy, and inexpensive way to add Christmas to your bedroom and entire house. Thank you for stopping by! 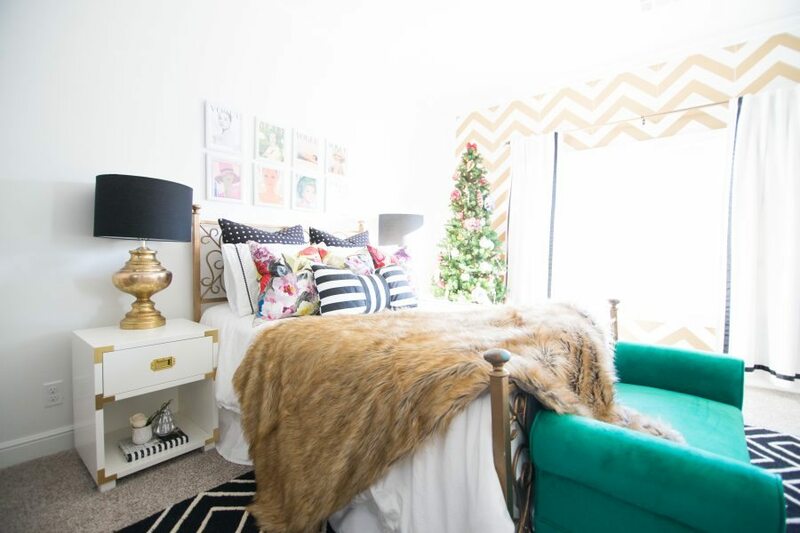 Please feel free to check out some of our Holiday Posts like our Family Favorite Things 2017 , 10 Tips for Budget Christmas Decor, and our favorite recipe – Peppermint Oreo Cake Balls. 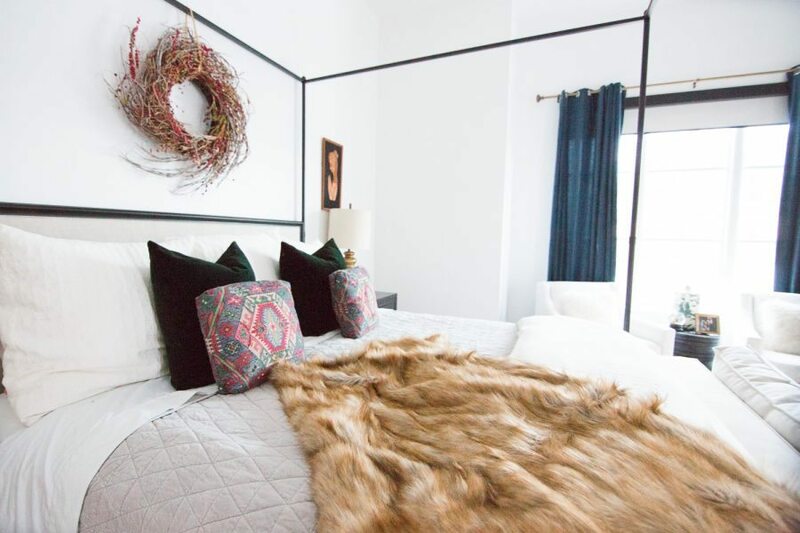 You can also subscribe to our blog to make sure you never miss a post! Happy Holiday to you and yours from the Miller Family!